There seems to be many schools and organisations that have grasped the value of hosting education sessions – even in the school holidays. The Sozo Foundation, one of our newest beneficiary groups in our Popularising Reading programme, is definitely one of these. We were grateful that they invited us to work with them to help create a well-educated youth in South Africa. As part of the winter school programme we ran a workshop that provided learners with an overview of our goals, our vision, our ‘library on a phone’ and – of course – our books, given that Sozo has received these as a beneficiary group in our Popularising Reading programme. To a group of around 30 learners and tutors, we demonstrated all the ways that they can access FunDza reading content. Some of the learners did not realise that FunDza has so many platforms where they can be able to communicate with us. Some were not aware of our projects as they initially thought FunDza was only about sponsoring organisations with books. By the time we left, the learners were blown away by what FunDza had to offer beyond just the books. Our aim was to also get the boys interested in reading. I was fortunate to be joined by my male colleagues Ndibulele and Dumisa. The guys were so good at interacting with the learners and gettting them to engage with the stories… many were so intrigued they just wanted to read on. It was a job well done as we kept the learners entertained. 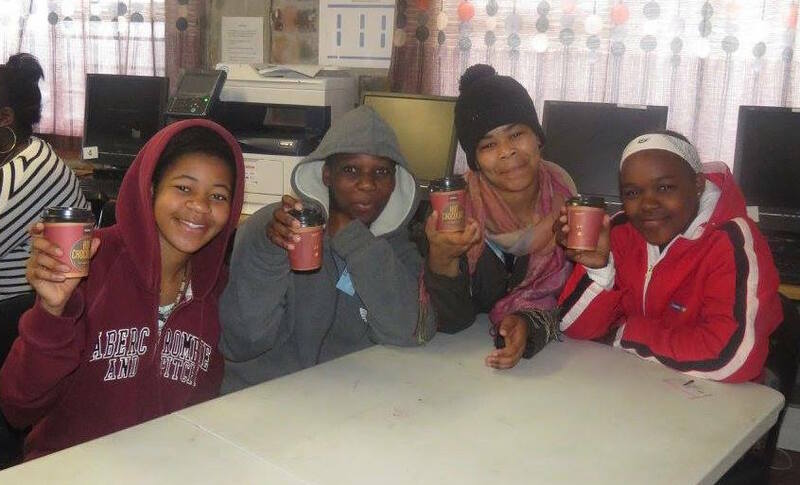 Thanks to Nomu who provided us with hot chocolate as giveaways for the learners. This came in handy as it was an extremely cold winter day. Thanks too to Sozo for inviting us. Despite it being the first day of the school holidays, the room was packed with enthusiastic learners. The atmosphere was fun and warm – with many smiling faces. The eagerness of the learners left us with great hope and is a tribute to the vision and work of the Sozo Foundation.